In my many years of photographing weddings, I would say that when couples see each other for the first time during a pre-ceremony “first look” it is more emotional than during the actual ceremony. 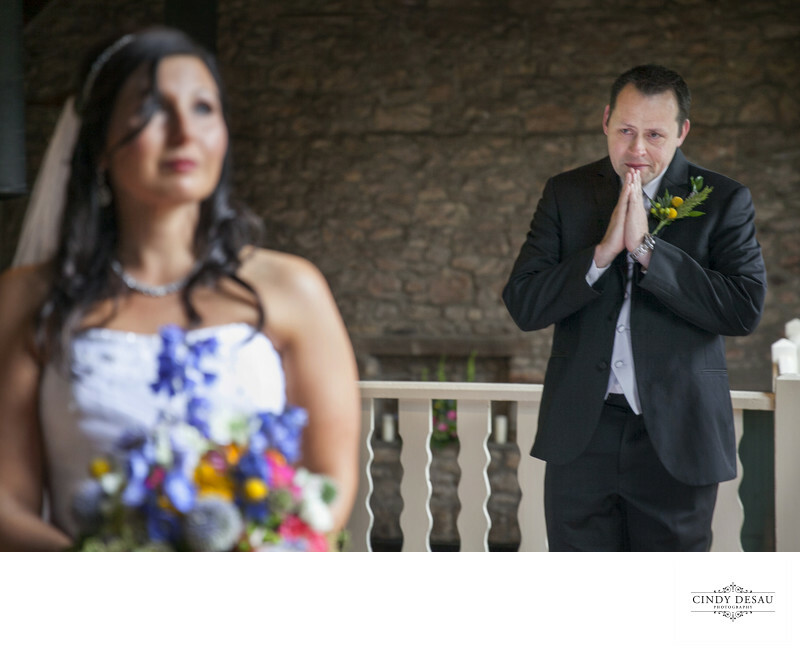 This groom was so nervous and emotional to see his bride in her wedding gown for the first time. I wanted to capture those emotions. At this point the bride had no idea that her groom was crying and praying that he found his beautiful soulmate. I enjoy photographing First Looks. Some couples call it “The Reveal." I find it enables couples to more leisurely create their wedding images, to use different areas of a venue, and to be able to do not only the portraits but the more creative and pictorial wedding photography that I enjoy so much. They also then have the luxury of mingling with their guests during cocktail hour, and enjoying all the great Hors d'oeuvres! Most importantly, the bride and groom are more relaxed, and cocktail hour is a great time to quickly gather any group shots you might like, such as college friends, work colleagues, or some extended family photographs.